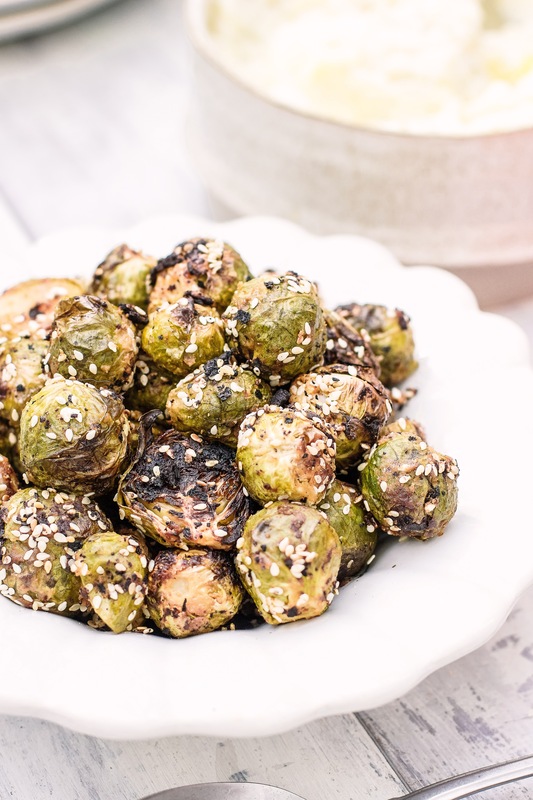 This has got to be one of the most delicious ways to have sprouts, ever. I’m pretty obsessed with miso and this combination is just insane. They go gorgeously crisp and just a little bit charred for even more flavour. Chop the ends off the brussel sprouts and peel off any dirty outer leaves. I like to cut the bigger sprouts in half and leave the little ones whole. In a medium bowl, whisk together the miso, tahini, sesame oil, lemon juice and minced garlic. Add the sprouts to a large bowl, pour the miso mixture in and use your hands to mix it all around. press them out on a roasting tray and pop them in the oven at 200’C for about 20 minutes. 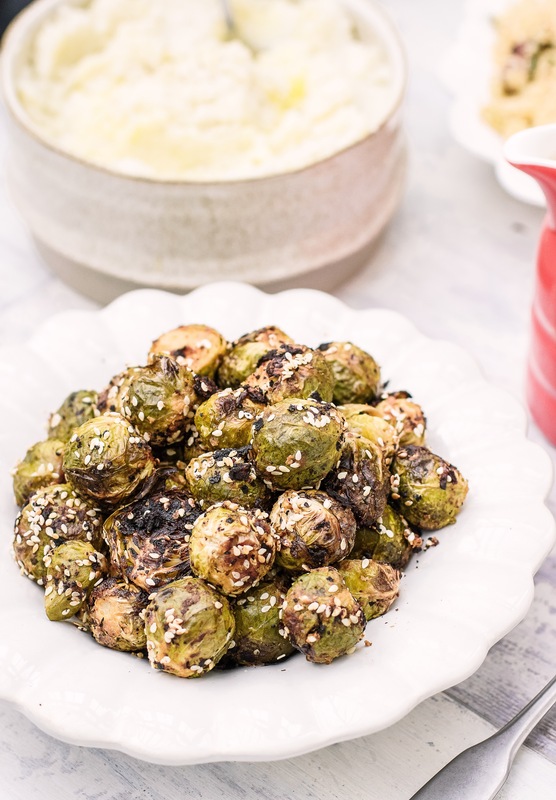 When the sprouts have been in for 20 minutes, take them out and sprinkle on the sesame seeds, tossing them well so that they’re evenly coated in the seeds. Pop them back in the oven to roast for another 15 minutes, tossing in the middle, until crisp and gorgeous. Serve hot. These look delicisshhh! Any substitute suggestions when you just can’t get Brussel Sprouts in Spain and Ryanair will probably only charge me per sprout if I ask someone to bring some over? Thanks a mill again! it would be really yum on cauliflower too! Have a lovely Christmas! Hi Indy, I’ve posted a comment previously on this – you used to have a Pinterest button on your posts so it was really easy to save them to Pinterest directly from your email. That button is no longer there, and instead there is a ‘share this’ button which doesn’t work or do anything – so it’s really hard now to save your recipes! I use pinterest all the time for my recipes as I can then find them really easily on my tablet when I’m in the kitchen. Maybe I’m the only one who does this but I wish you’d put the Pinterest button back onto your posts! Thank you!